It looks like the a couple more K-pop icons will be enlisting in the military this year. Not long ago, BIGBANG members TOP and G-Dragon submitted themselves for service in South Korea ahead of Taeyang’s impending intake. Now, reports have confirmed that the rest of BIGBANG will also begin their enlistments in 2018. Not long ago, reports hit Naver in South Korea after YG Entertainment publicized information about BIGBANG’s remaining members. 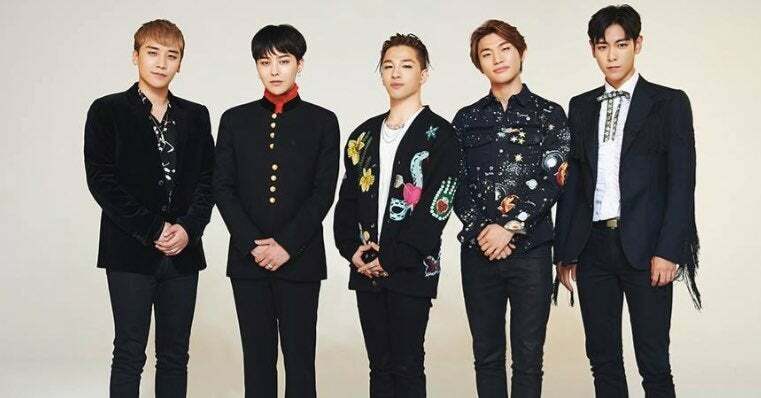 After 3 of the band’s 5 members were forced to enlist, Daesung and Seungri have confirmed they will enlist for active duty in 2018. Currently, the reports say Daesung will enlist on March 13 and begin his mandatory enlistment period. Seungri has not revealed his date of enlistment yet, but reports from YG Entertainment confirm the star will enlist shortly. The youngest member of BIGBANG will enter active service once his solo album is released. There is no date set for the album’s release, but Seungri revealed he was working on it at the end of January. The comeback will be Seungri’s first solo outing since 2013 when his second mini album “Let’s Talk About Love” was released. Right now, Seungri is busy promoting his work on a Chinese film known as "Love Only" which debuted last week. If you are not familiar with South Korea’s conscription laws, then you should know all males are required to enlist barring any medical conditions. All South Korean men must serve 2 years in the military between the ages of 19 and 35 with the minimum period of enlistment being 21 months. Army and Marine Corps members serve the shortest time possible while Navy and Air Force members serve up to 24 months. Non-active duty jobs require between 24 and 26 months of service. G-Dragon began his military service at the end of February. Taeyang is slated to start his soon now that he has married his longtime girlfriend Min Hyo-rin in a quaint ceremony. As for TOP, the eldest BIGBANG member began his military service in January 2017 but was pulled from it after being prosecuted for drug charges. The rapper resumed his conscription in mid-January after his court proceedings finished. Are you sad to see BIGBANG go on hiatus? Let me know in the comments or hit me up on Twitter @MeganPetersCB to talk all things comics, k-pop, and anime!